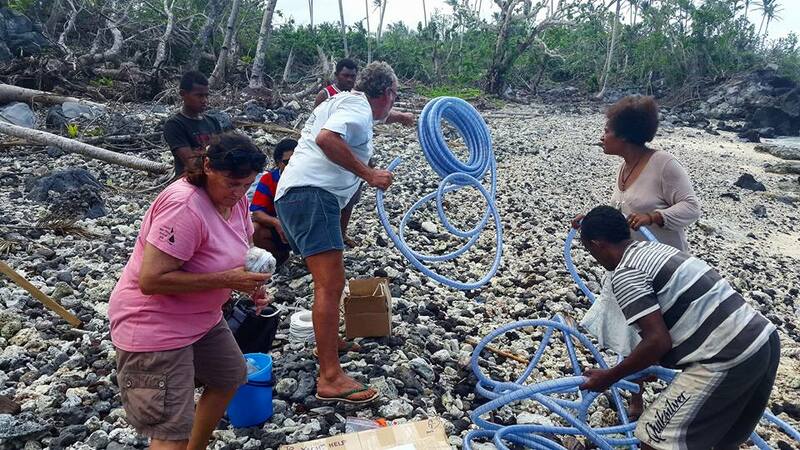 Sea Mercy is currently involved in a joint operation with Byond, an Australian non-profit disaster relief NGO. 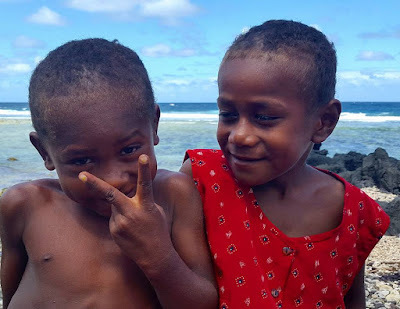 A few days ago, Byond members Lykke and Tali went out to the three villages in the Ra, accessible by water only; Vendrala, Nassau, and Nayavuira. They did a survey and texted back the village's current needs. Doug, Carla, Kelli, Tracy and I gathered it up and delivered it yesterday. Special thanks to Doug and Kelli for driving back on a dark and stormy night. 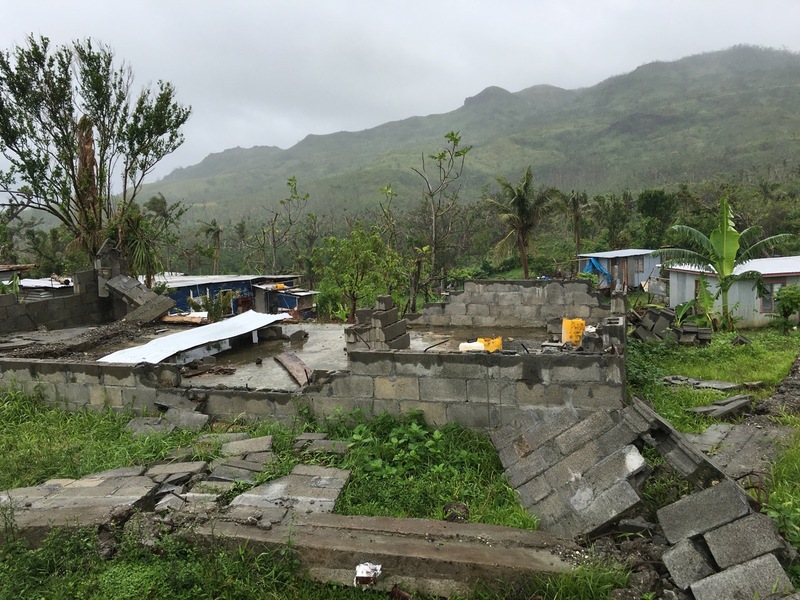 The devastation left by Cyclone Winston is effectively highlighted in these dramatic BEFORE and AFTER photos of Koro Island in Fiji. Slide your cursor back and forth on the pictures to witness the change in these villages. Be sure to also visit other articles linked at the bottom of the page to read additional compelling stories from people who survived this storm and see the destruction from the ground. 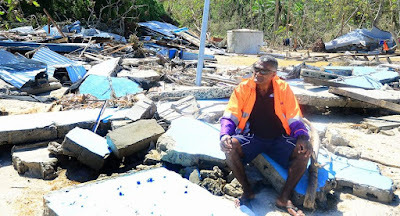 The rebuilding process is just beginning and Sea Mercy's "SeaBridge for Fiji" program will be in the middle of it. See how you can help with the recovery process by clicking on the link above. 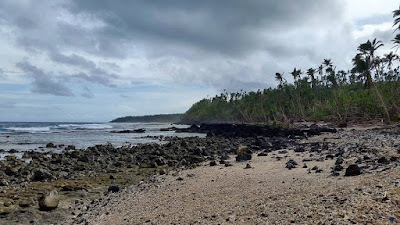 Navuniivi Village and the nearby settlement of NamoNamo are located on Viti Levu Bay in the Ra District on the main island of Viti Levu and experienced the eye of Winston passing over them. 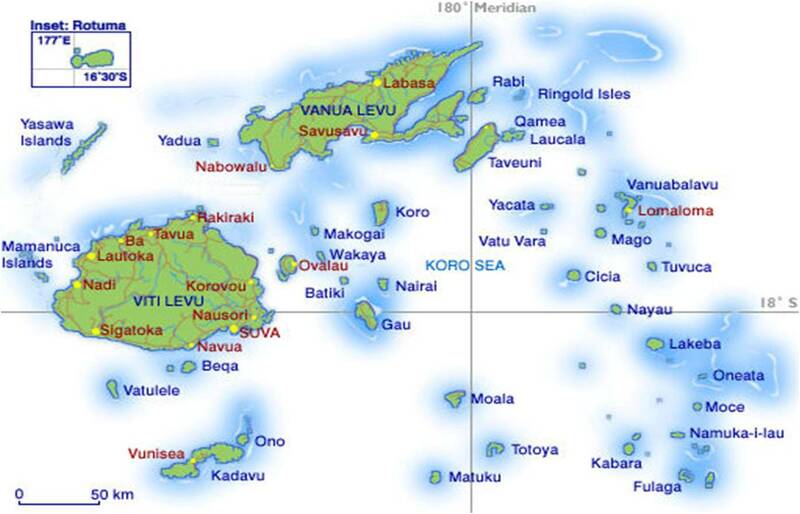 Viti Levu Bay is located just below Rakiraki on the map above. We are good, thank you. We are a bit tired of the bad weather though. Had some 40 knots of wind from TD17F and lots of rain two nights ago and the rain kept creeping in through the hull from the holes and cracks we have since Winston. 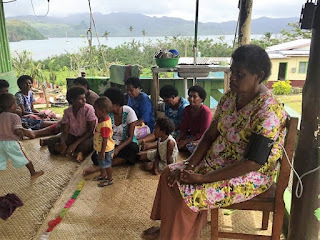 Since the weather was what it was, we focused on Navuniivi village in Viti Levu Bay. 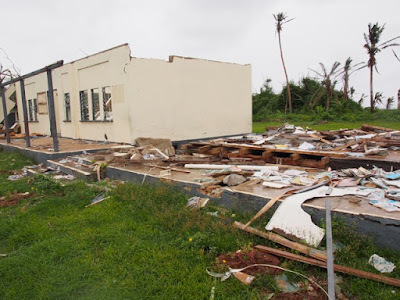 The village had only 32 out of 73 houses standing (but all with damages) and the nearby settlement NamoNamo had only one out of 10 houses that made it. 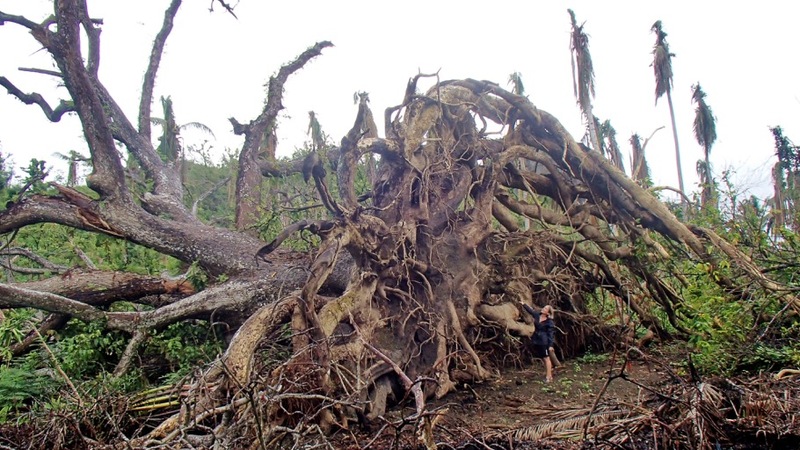 Viti Levu Bay had the eye of Winston and trees had fallen in three directions. Witness reports said that the wind first came from one side and then turned and hit them from the opposite side. The warnings before came very late and also people said they didn't understand what a "category 5" cyclone was. They had heard of knots and understood what that meant, but not categories, and in the warning there was a lot of talks around categories they say. This all resulted in many people, within an hour or two of the strike, still out doing their chores and then had to rush to their shelters when wind picked up, without having a chance of securing their own houses. Their newly built cyclone shelter, the Community hall, lost part of its roof early, as did the church, in the cyclone when a whole building hit it. 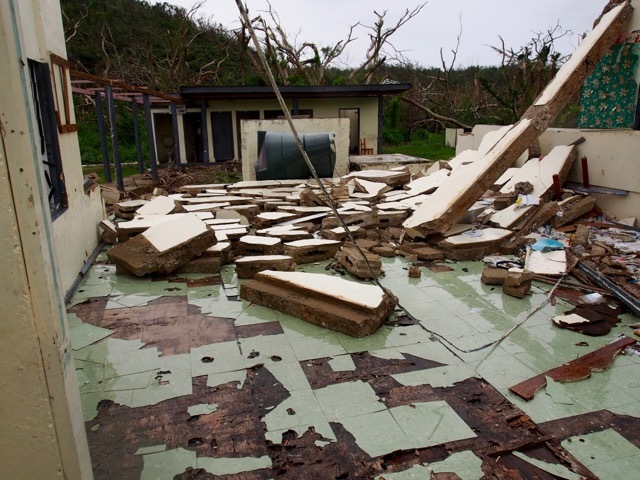 All the villagers that were in there then had to move down to a small room below, flooding with water, and winds trying to burst the door and walls bulging by the force. Six hours they had to spend in this hell hole, with screaming kids and crying and terrified mothers and fathers. The trauma from this incident seems to be worst with the little older kids in age 7-15 (appx) and the women. When we arrived we met a low and sad crowd of people. 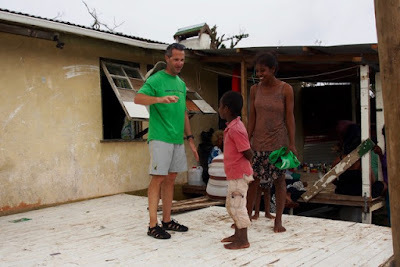 The days after, they received some well needed professional help sent out by the government. This will take months if not years to handle for some. Do you see the lady at the base of these tree roots? 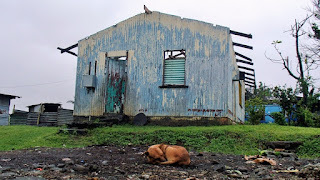 We did a clinic there with health checks. There is no nursery in the village but they have one person, Lai, that helps people with first aid. 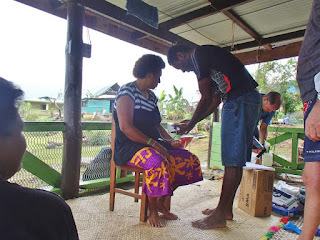 We gave them a blood pressure barometer that we found at the warehouse, and Jan taught Lai how to use it and what to make of the readings. We also gave some basic medical supplies (band aid, soap, aspirin, etc.) to Lai. We helped the villagers to try out new reading glasses. The glasses were very popular since they lost everything in the cyclone and they happily yelled out "I CAN SEE". 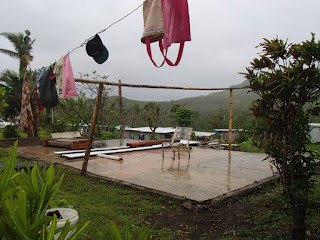 We also dropped off clothes, shoes, food, cooking oil and salt (they will not be able to get anything from their gardens for at least 2-4 months and were very happy to get some food), hygienic articles and six tarps (should have brought more tarps, they still haven't good roofs on their temporary buildings). 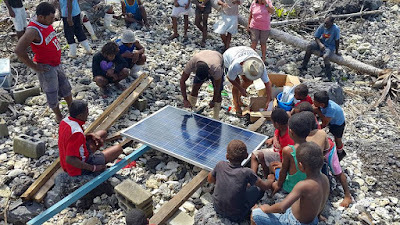 The good thing is that now it seems like the other help organizations and the government are coming up to speed. This Friday they had a visit from one of the governmental medical teams, with a doctor, midwife and nurse bringing necessary medicine. Today a governmental organization was coming to do a big assessment for the rebuilding of the village (planned to start in May with help from the engineer troops). We could have brought so much more to these people but now at least it feels like they are getting looked after. Having talked to the people from the medical team, it seems like this is becoming more and more true for all the affected areas, which feels really good to hear. Now it is time for rebuilding. One thing this village will need, is funding to rebuild their Community hall/cyclone shelter and church which originally has been funded by themselves. 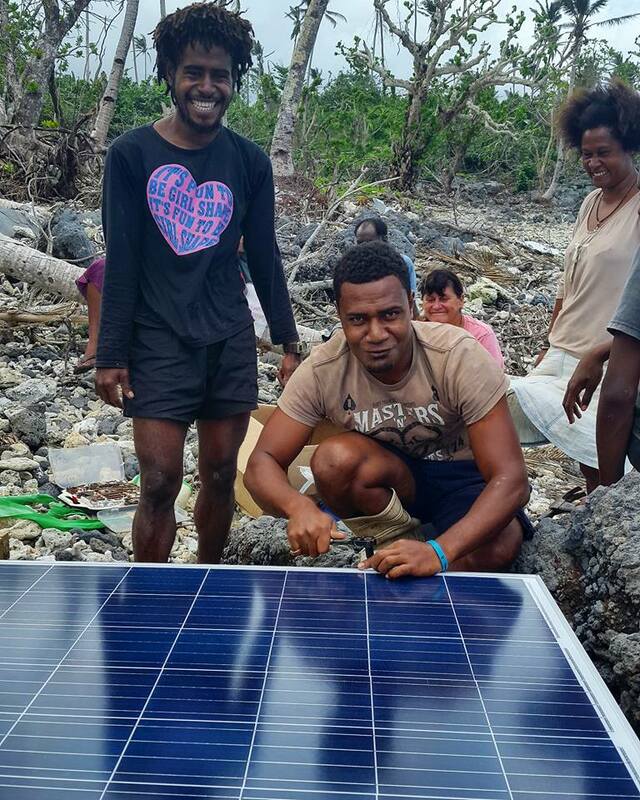 They also would need funding for solar panels and electricity generation for the village. 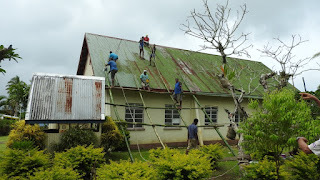 They paid the government a year ago to get a cable to the village and electricity installed in May/June this year, but now they have been informed that the electricity project has been delayed 2-3 years due to Winston. They have been running an old genset a few hours every night before, to be able to run some lights, but the genset broke during Winston. 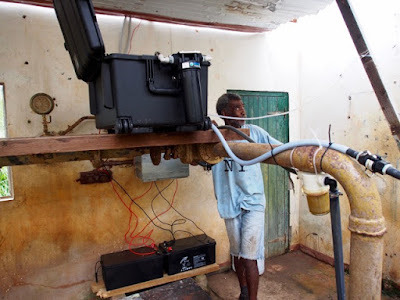 It would be great if it could be possible to replace that genset and also add some batteries, solar panels, a charger and inverter. Is this something that would be possible to do through Sea Mercy? 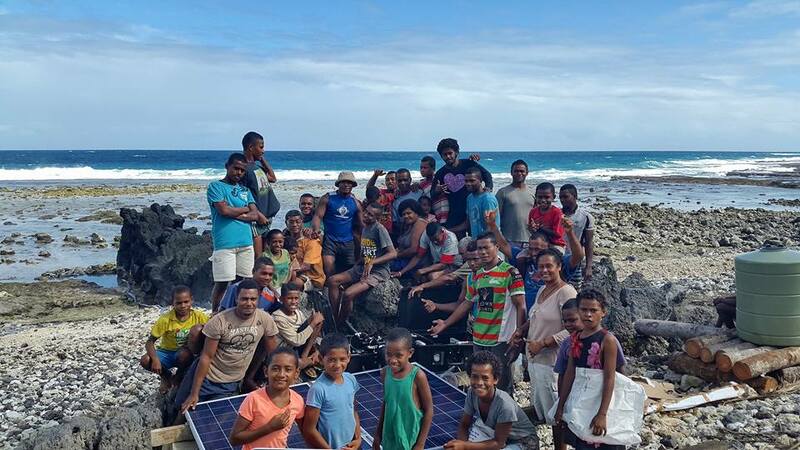 Disaster Recovery Fleet 1 is already working in Fiji. 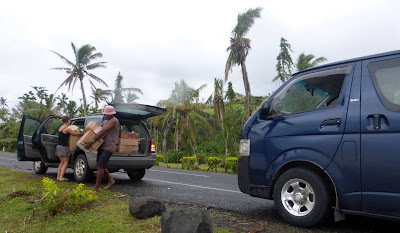 We have four vessels on their way with aid to the Lomaiviti Group and one vessel heading to Vanua Balavu. 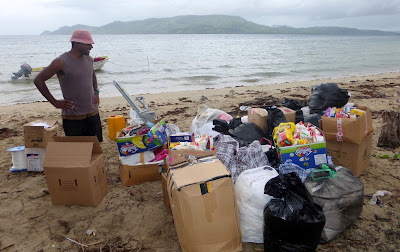 Weather permitting, today we will be sending two additional vessels out for aid delivery and assessment to the Lomaiviti and Lau island groups. 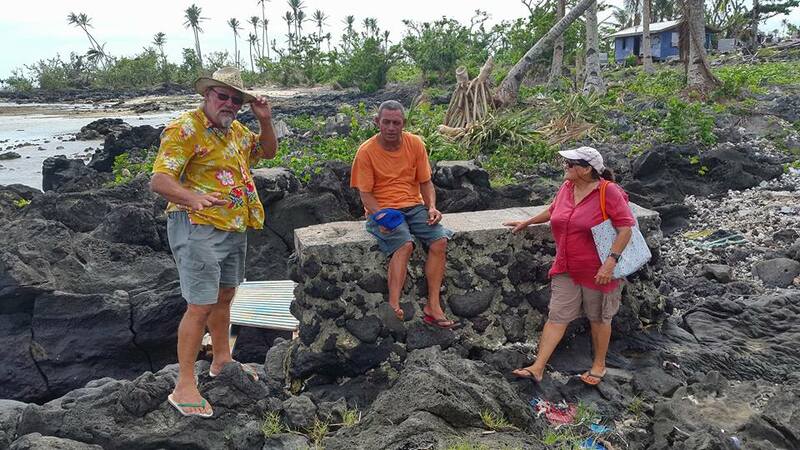 a. BREEZE with Per, Sabina, Ella and Dr. Jan-Ake aboard sailed for the Ra District then on to the Lomaiviti. b. APROPOS(Jim) sailed with BREEZE and is now with OUTSIDER(Ian and Wendy) in Makogai. 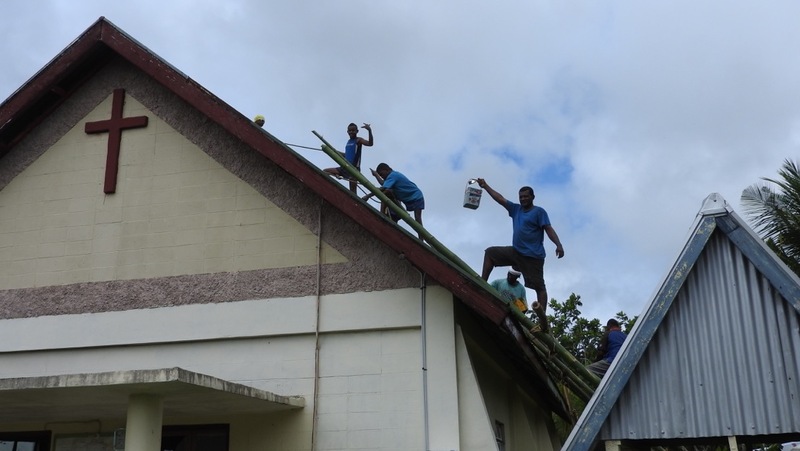 c. SHINE(Patrick and Geoff) plan to depart Port Denarau on April 23 for Lomaiviti then on to Levuka Ovalua. 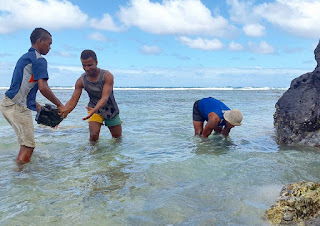 They will go to Batiki, Moturiki and Nairai checking the water makers previously installed. d. Check out the blog post on OUTSIDER's water maker installation in Taveuni. Disaster Recovery Fleet 2 is mustering in Opua, NZ on April 25th with plans to sail to Fiji at the first weather window. 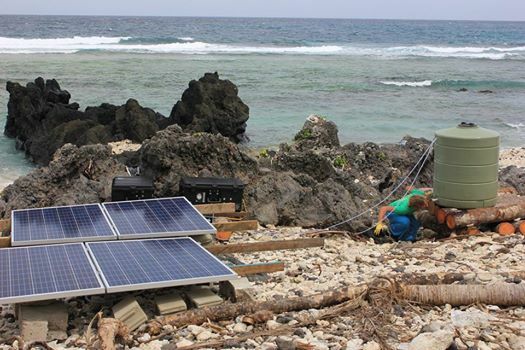 Disaster Recovery Fleets 3-5 consist of additional local yachts and several large yachts in NZ, Tahiti and Australia. They are preparing to join our operations in Fiji at their earliest opportunity. i. Our Vanua Balavu clearance has been approved by the Fijian Government who have agreed to meet the general costs. 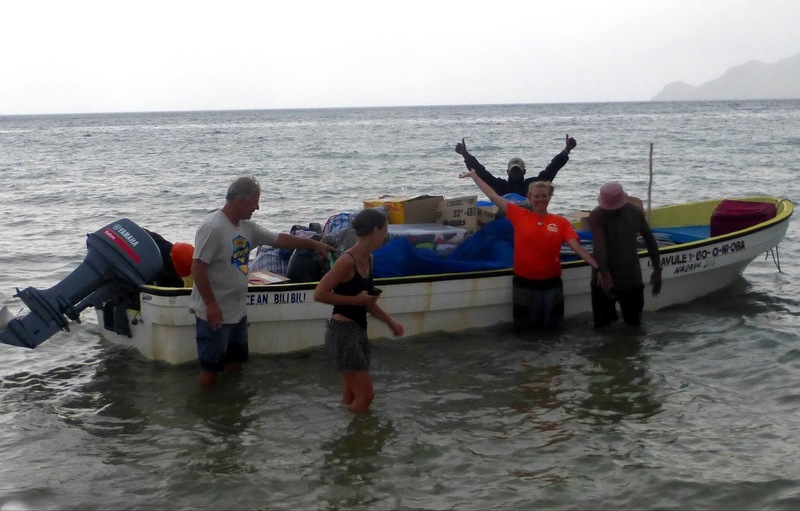 The vessel clearance fee remains the skipper's responsibility. supplies prior to embarkation-Thank you Terry. 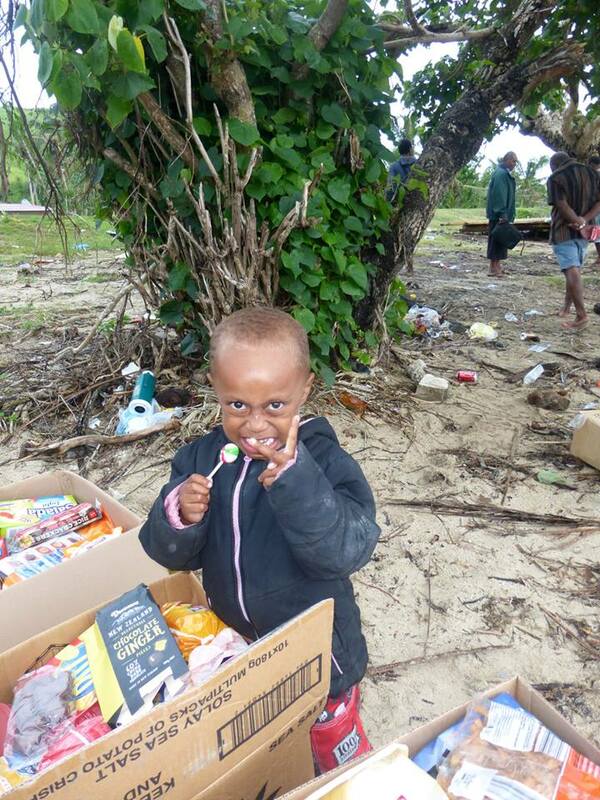 c. Oscar on ZEN II who is awaiting generator spares in Port Denarau. Finally, a big “THANK YOU” to Marie and JP from DOMINO who have been collating information on our target islands. We are particularly short on information for Kanacea and Nayau if anyone can assist. For additional information on our Recovery Fleet plans, please read Sail World’s article concerning our fleet. Sea Mercy yacht, Apropos, conducted an assessment of Makogai Island on April 14-17 of 2016. 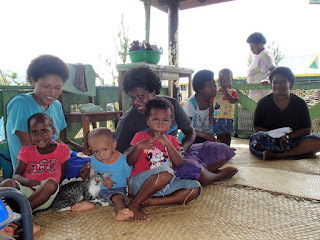 The aim of the visit was to deliver supplies to Na Sau village on the island as requested by Sea Mercy. 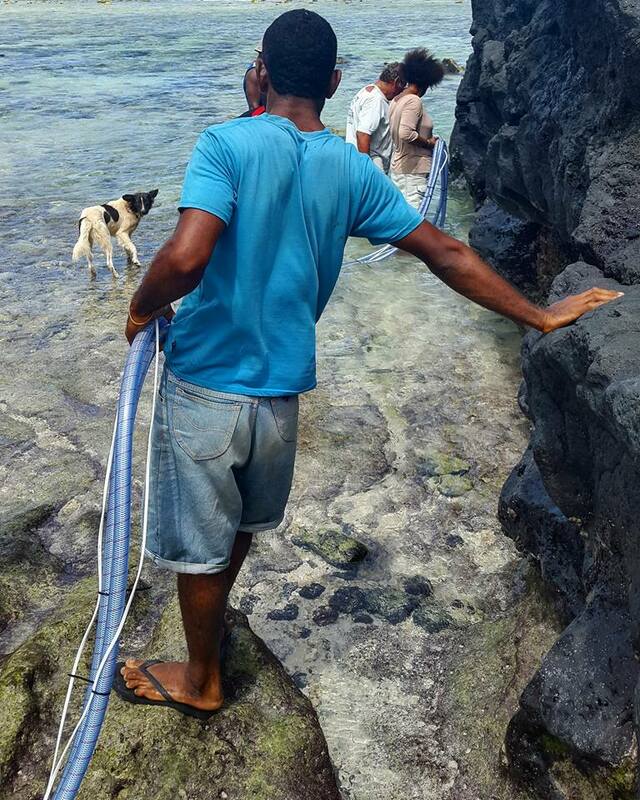 We visited the Fisheries side and the men took us to Na Sau in their longboat to deliver the supplies. 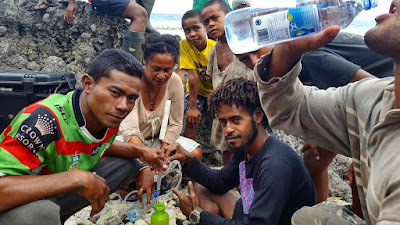 We didn’t have a lot of spare petrol so they gladly accepted waka! One man at the Fisheries side has Dengue Fever and I gave him a dozen Tylenol. 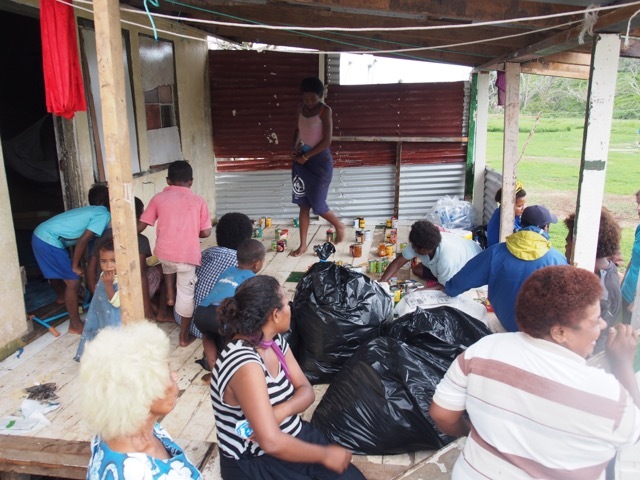 At Na Sau, we delivered a couple hundred pounds of supplies—mainly canned food, clothing, shoes, children toys, and water bottles. An elder showed us around the village. Their water-maker is working well and he ran it while we were there. 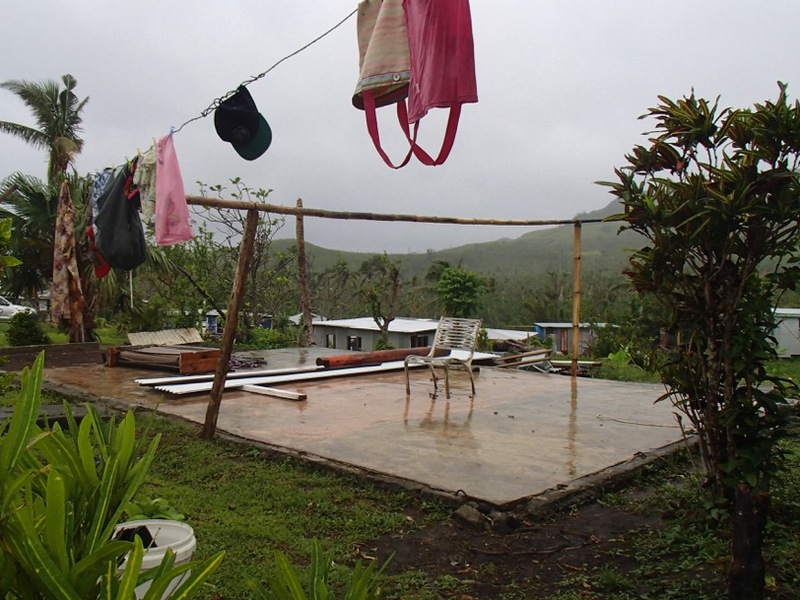 I asked what they needed most: a chainsaw, rebuilding the school, and more kids clothing. 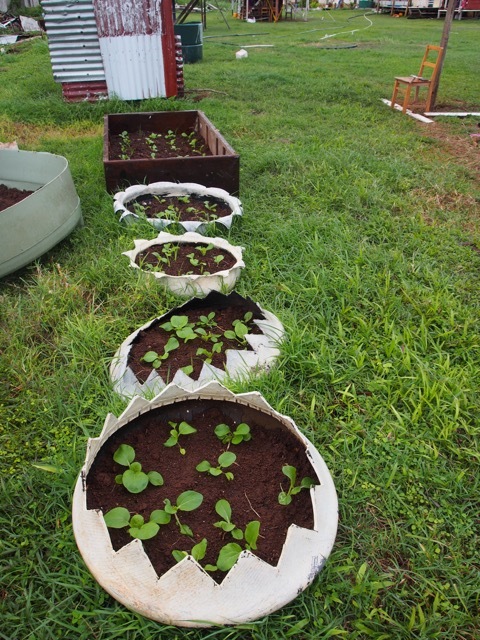 The seeds we brought earlier are sprouting now. 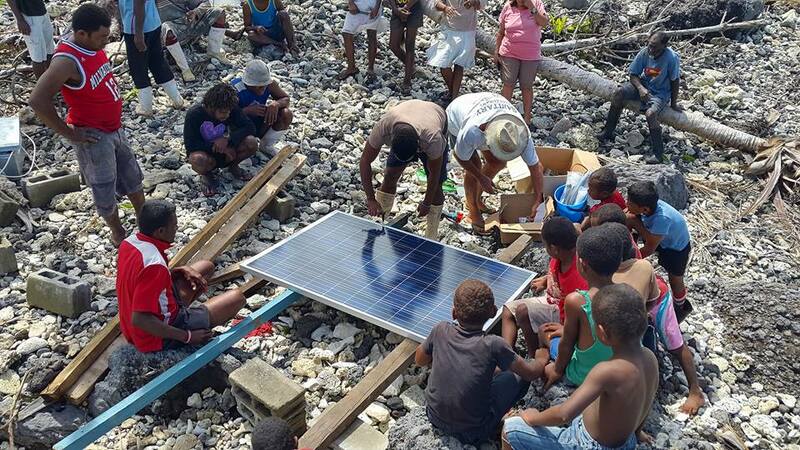 We also gave then 8 LuminAid solar lights I bought in the US which they appreciated. They were very grateful of Sea Mercy. 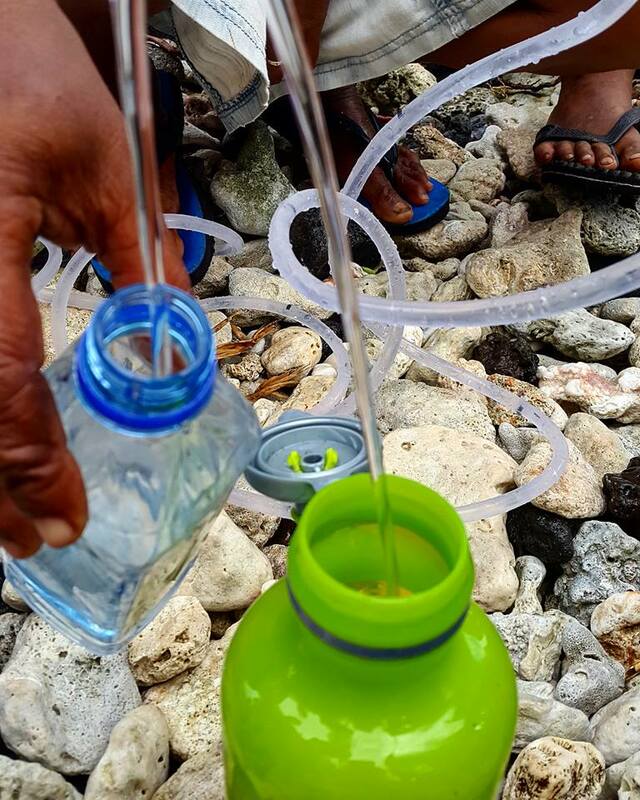 working well and providing fresh water to the village. 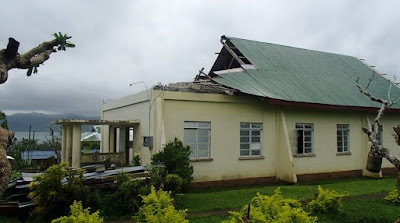 What is left of the school. Seeds we brought earlier are sprouting. Based on our experience in Tonga and Vanuatu, Sea Mercy realized that our ability to respond quickly in a disaster was dependent on having supplies stored and ready ahead of time. We chose Port Denarau, Fiji as our base because of it's central location and access to international shipping and air freight. Little did we know that Fiji would be the next to experience a disaster of such huge proportions. 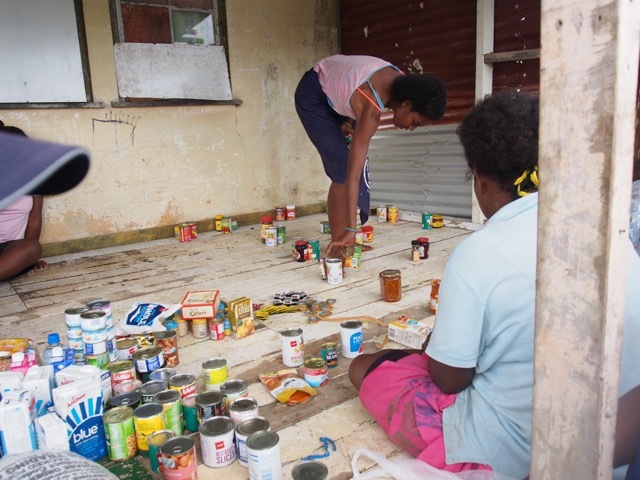 According to our plan, the warehouse in Port Denarau is stocked with donations of household goods, food and equipment. Donations are loaded onto the Sea Mercy volunteer vessels and sent to fill the needs of the people in the remote islands we are tasked with helping. The volunteers at the warehouse have been invaluable in our efforts to get the supplies we need and get them where they need to go. 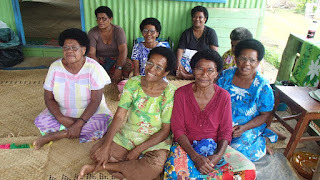 Fijian Government added 3 new photos. A heavy rain warning remains in force for Vanua Levu, Taveuni and nearby smaller islands, Lau and Lomaiviti group, eastern half of Viti Levu and Yasawa group. 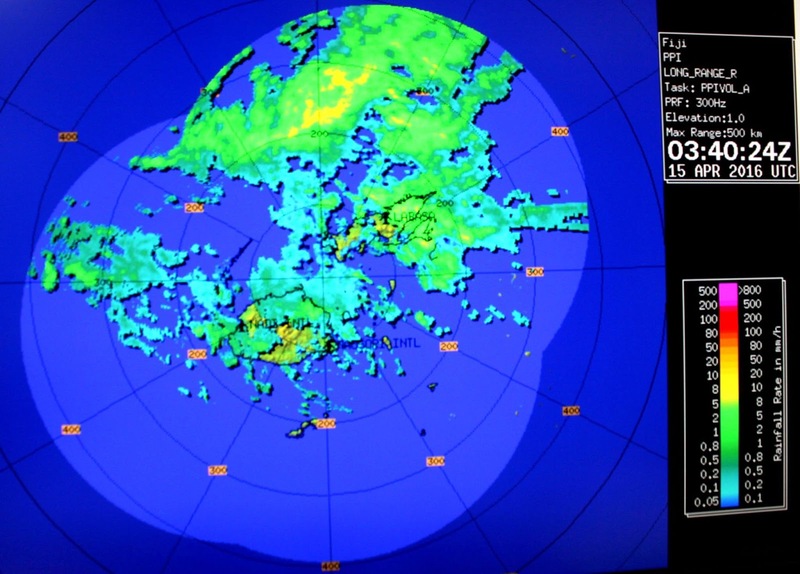 A heavy rain warning also remains in force for the rest of Fiji. A flood alert is now in force for all small streams, creeks and low lying areas adjacent to major rivers within Vanua Levu and Eastern half of Viti Levu. 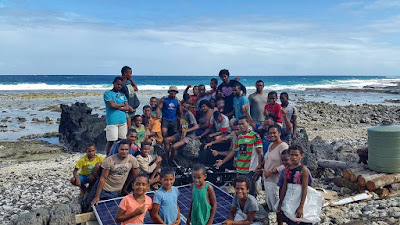 "How Cool Is This ....." via Facebook Julie Kelly says "Thank You Sea Mercy"
Julie Kelly, owner of Taveuni Ocean Sports, made the following posts on Facebook. 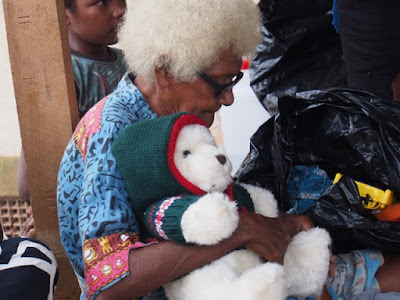 She lives in Somosomo on the north western shore of Taveuni and has been heavily involved in the recovery efforts in the southern part of the island. 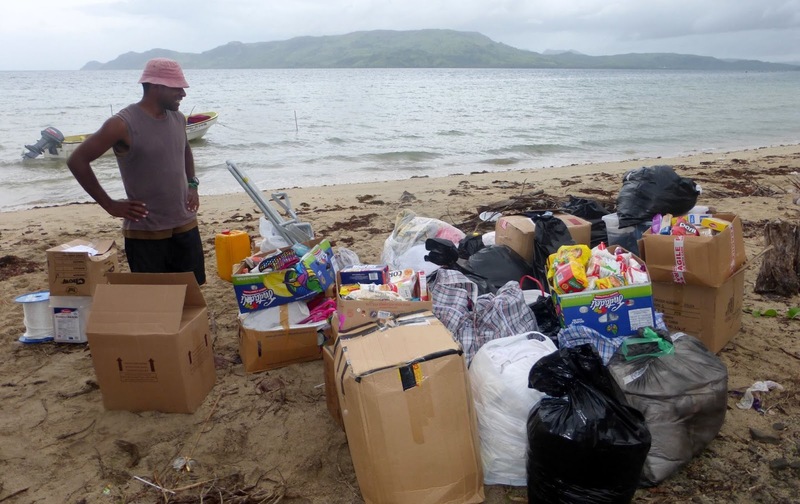 Sea Mercy IS making a difference! Julie Kelly with Seraina Brunett and 2 others. How cool is this…. I am getting a drink of clean drinking water on the shore of Navakawau Village using a solar powered desalination unit. 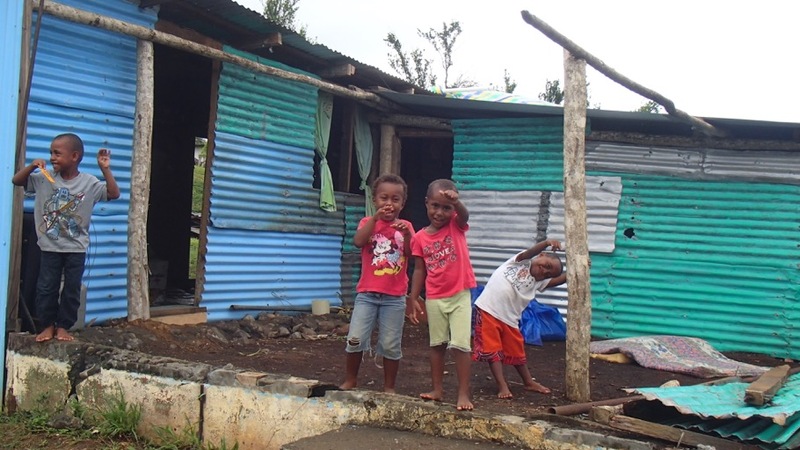 This is a village that lost 70% of all houses due to Cyclone Winston and they do not have a water source. Thank you SeaMercy for responding to our pleas and donating these units. Everyone is enjoying the sweet water. Julie Kelly shared Abhishek Sapra's post. 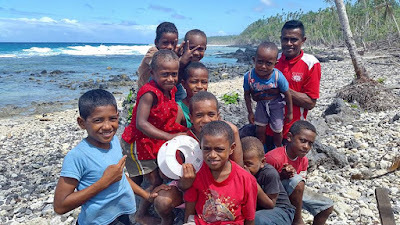 Thanks to Sea Mercy and Nakia Resort for facilitating 2 desalination units for Navakawau Village for temporary relief. We are all working towards a borehole which will ensure regular water for the village of over 600. Julie Kelly thanks a million! Ian and Wendy Shields with Sea Mercy have been fantastic! And Cedric Holtz I think you will be surprised who I have been with, friends of yours from Samoa! Clark James we are really appreciative you and Octavia Hunter came and experienced our communities. Clark, the donation you made to Sea Mercy directly contributed to 1 of 2 desalination units at Navakawau Village. You have made a world of difference to the health and well being of our people. Building a small stone barricade for waves. 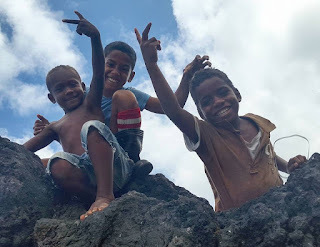 Julie has shared with the public many other amazing pictures and videos about the work in Taveuni since Cyclone Winston hit six weeks ago. Read more first-hand accounts of the recovery work in Taveuni on her personal Facebook Profile or business Facebook Page. Sea Mercy volunteers deliver shelter kits to Fiji’s outer islands. Wendy and Ian Shields were moored in the mangroves at Port Denarau when cyclone Winston smashed into Fiji on February 20. 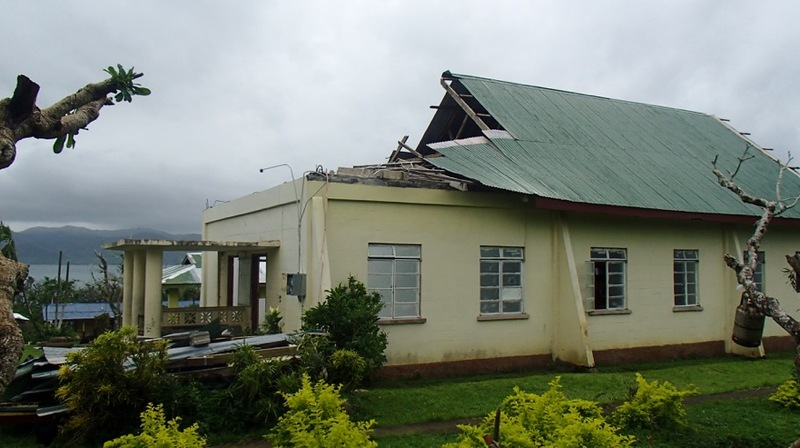 The category 5 storm hurtled through the Nadi marina just after midnight – after flattening many of the outlying islands during the day. 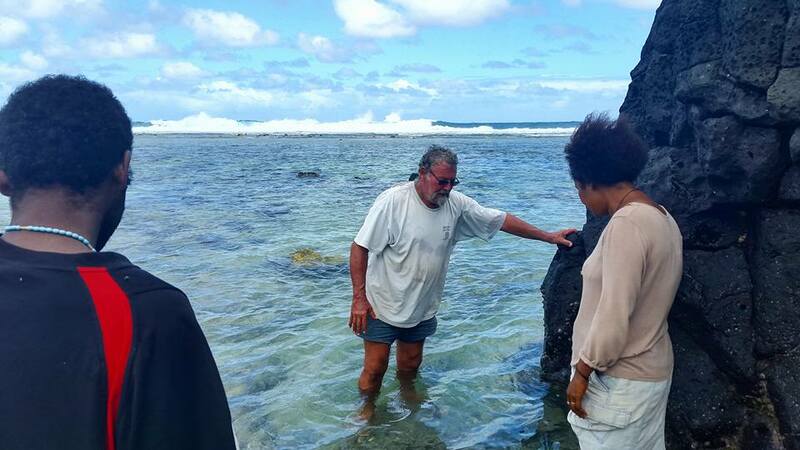 “The wind was screaming through the rigging,” Wendy tells The Saturday Paper from Savusavu on their yacht, Outsider. 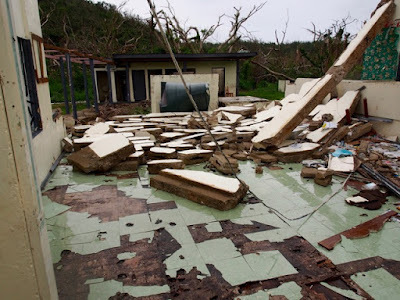 The most brutal cyclone to make landfall in Fiji battered the island with hurricane-force winds, destroying almost 55,000 homes and killing 44 people.